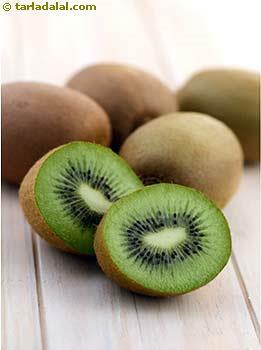 Also known as Chinese gooseberry, kiwi is the most favorite exotic fruit of many people. With its sweet and tangy flavor, kiwi will completely satiate your taste buds. The glycemic index of kiwi is 50 which is low. Paired with the glycemic load of kiwi (1 medium sized) which is 7.7, making it a healthy choice amongst the list of fruits. IS KIWI SAFE FOR DIABETICS? Yes, absolutely kiwi will not spike your blood sugars instantly. This is due to the high fiber content in kiwi fruit which will slowly release your sugar during digestion that is glucose is not rapidly absorbed in the bloodstream. Note that the skin of the fruit is high in insoluble fiber which is great for you. An additional benefit for diabetics is it also helps lower blood cholesterol levels. A suggested serving size for a diabetic is one medium kiwi which is best consumed as a mid-morning or an evening snack. IS KIWI SUITABLE FOR WEIGHT LOSS? Are you on a weight loss diet and looking for better options to fried snack? Opt for this colorful kiwi the next time you go shopping. It has immense health benefits. A medium sized kiwi which has around 3 grams of fiber which plays a crucial role in giving satiety and helping in healthy weight loss. The high fiber content will improve your bowel movements and thus ensures you have a healthy gut. Thus it proves to be beneficial for Irritable Bowel Syndrome (IBS) also. It scores high on Vitamin C count, which builds your immunity and thus a healthy you. The anti-oxidant lutein in kiwi ensures that you get wrinkle free skin by helping in building tissues while on a weight loss diet.